This recipe has been adapted from this one. However, that picture looks nothing like my result, likely because I had too much liquid. 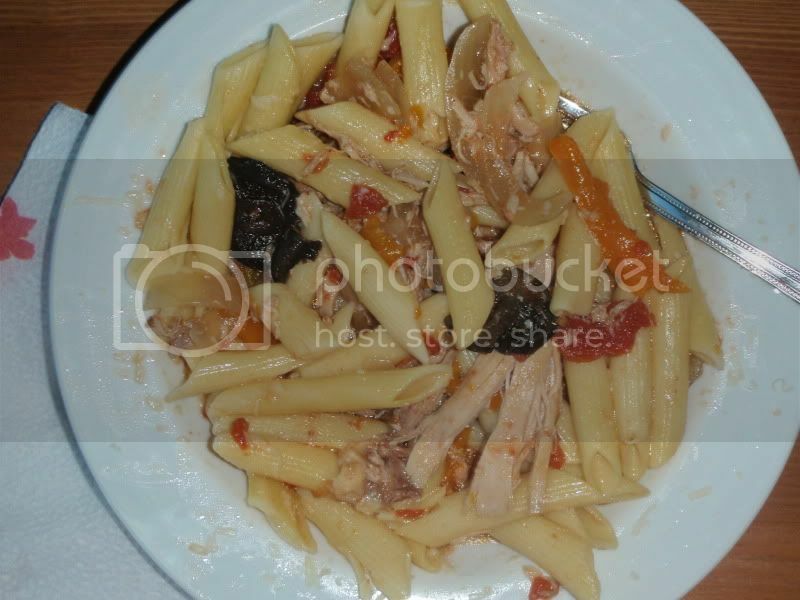 Combine all ingredients except chicken and tomatoes in base of slowcooker. Sprinkle with salt and pepper. Add chicken to top. Sprinkle with salt and pepper. Pour tomatoes on top. Cook on low for 8 hours or high for 4. Serve with rotini, farfalle, or penne pasta. Sprinkle with parmesan cheese.